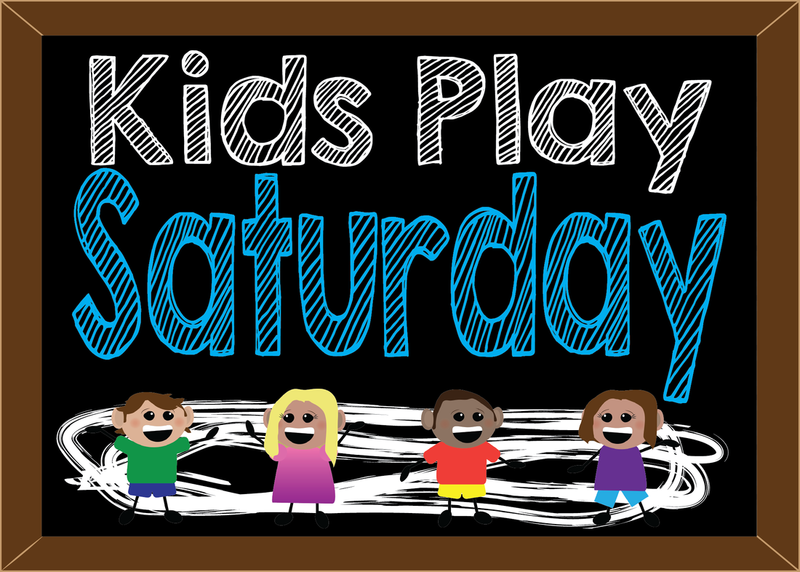 Parents/Guardians are required to stay with their children during these playgroups– Thank You! Classes are held upstairs at Christ Church United, Lowell. Enter through the Lowell Learns door (in the back). Walk strait through until you see the staircase on the left- walk on up and you will hear us. 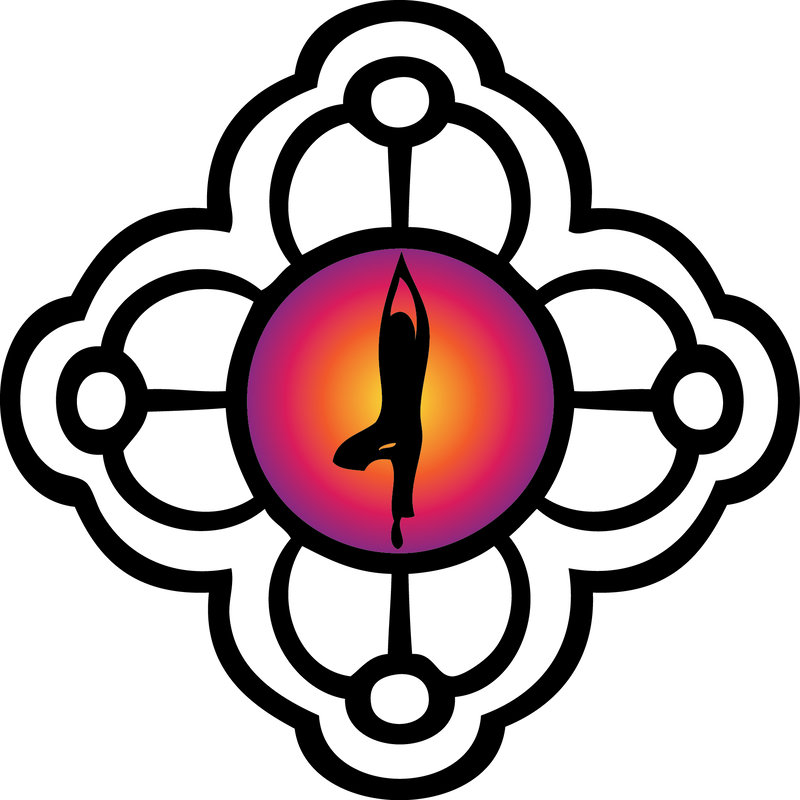 Kidding Around Yoga: Movement and stretching, games and relaxing, yoga is great for any age! Percussion Playground: Stomp, clap, jump around! 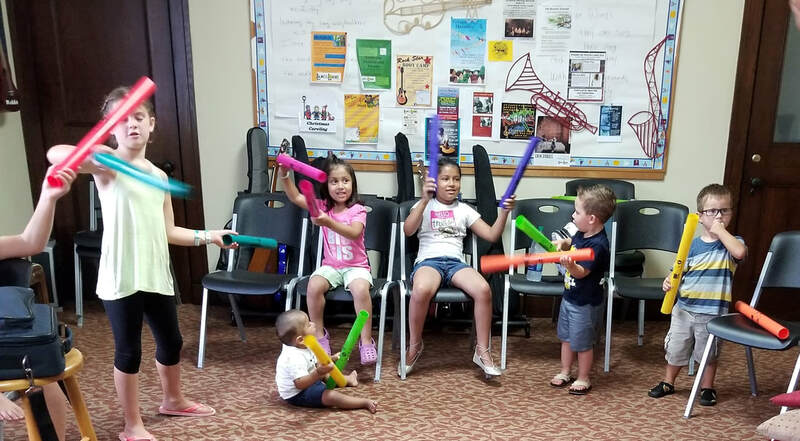 Little ones will learn rhythm and sound through hands on games and drumming. 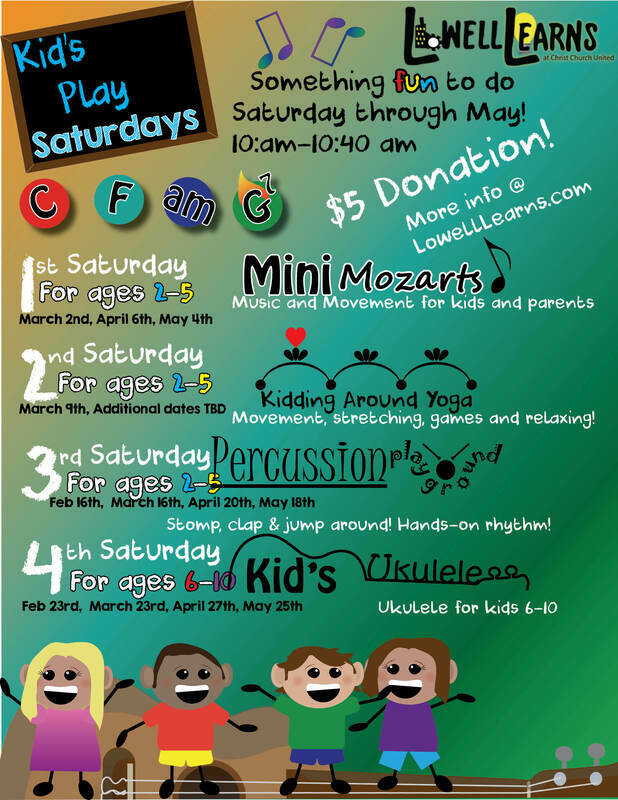 Mini Mozarts: Movement, music, song and dance for kids 2-6 and their parents. Check out this Moosical book by one of our instructors, Mel!